09/04/18 — Quinten Bailey Rouch, age 21, was last seen on May 9, 2018 in Kaw City, OK. Quinten was last seen wearing a white t-shirt, black cargo pants, black flip flops and a blue and silver cross pendant necklace. He has a large raised scar in his right armpit, tattoos of grim reaper with grandfather clock on his right forearm, watch on his wrist and gargoyle on his right upper arm. 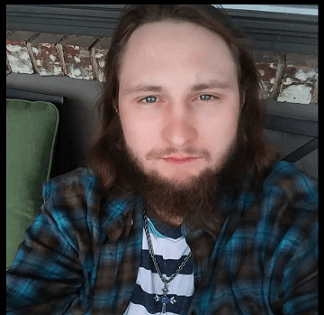 If you have seen Quinten Bailey Rouch, or have any information of his whereabouts, please call the Arkansas City Police Department at (620) 441-4444 or Texas EquuSearch at (281) 309-9500.